Have you seen our awesome Cake Smash portrait experiences? They are a great way to celebrate your little one’s first birthday. 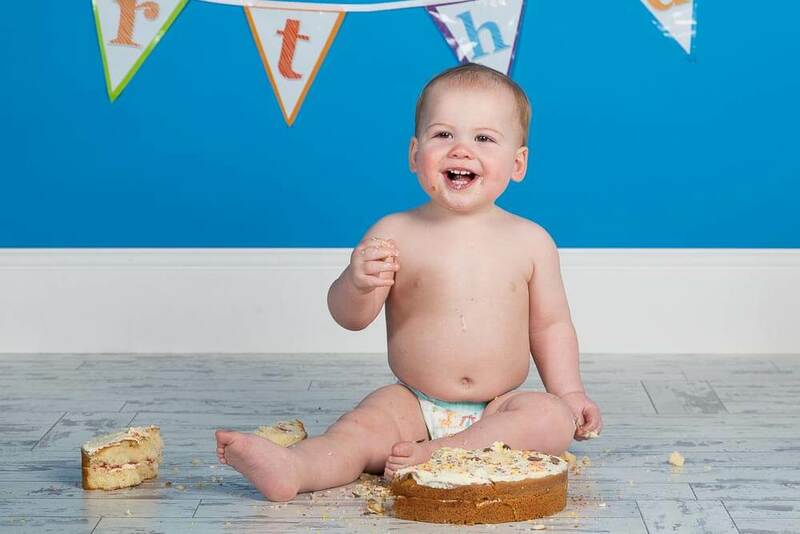 The cake smash portrait experience takes place in our High Wycombe studio, where we set up an appropriate ‘room set’ for your little one to have fun in. We start with a non-messy photo session, which allows your little one to get used to the props, the lights flashing and the noises of the studio. Once your little one is settled and comfortable with the set-up, we move on to the cake smashing fun. We can either strip your little one down to their nappy or you can bring a change of outfit that you don’t mind getting messy. We then sit your little one in front of a cake and document the results. Occasionally a little encouragement is needed but we find they soon pick up the idea. I just love to see the look of amazement on their face when they realise they aren’t going to be told off for playing with their food. Visit the cake smash page to see more images from fun sessions. To give you an idea of what happens, the behind the scenes film below shows one little one having fun at his cake smash experience. To book your little one in for their first birthday cake smash portrait experience in our beautiful Thame, Oxfordshire studio, visit the book now page.